By Greg Johnson. This article provides a brief overview of Minnesota rental car coverage law, from priority of payment for bodily injury and property damage liability claims to uninsured and underinsured motorist claims to no-fault claims to rental vehicle damage claims. A considerable portion of the article is devoted to Minnesota Statute § 65B.49, subd. 5a(1), a statute unique to only a handful of jurisdictions, which requires that all auto policies issued in the state of Minnesota provide coverage for damage to, and loss of, a rented vehicle under the policy’s property damage liability coverage. Like other compulsory automobile insurance systems, the Minnesota No-Fault Automobile Insurance Act, Minn. Stat. § 65B.41 et seq., (Minnesota “No-Fault Act”), distinguishes between mandatory coverages and optional coverages. 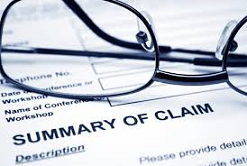 The title of the Act is a misnomer inasmuch as the Act addresses bodily injury (BI) liability coverage, property damage (PD) liability coverage, uninsured motorist (UM) coverage and underinsured motorist (UIM) coverage in addition to basic economic loss (a/k/a no-fault) coverages. The Minnesota No-Fault Act requires that every policy issued in the state provide certain levels of BI, PD, UM, UIM and basic economic loss coverages. A personal auto policy must afford a minimum of $30,000 per person/$60,000 per accident in BI coverage, $10,000 in PD coverage, $25,000 per person/$50,000 per accident in UM and UIM coverages and $20,000/$20,000 in medical expense and income loss no-fault coverage. Minn. Stat. §65B.44; 65B.49, subd. 2, 3, 3a. Under the No-Fault Act, a vehicle is “rented” if: “(1) if the rate for the use of the vehicle is determined on a monthly, weekly, or daily basis; or (2) during the time that a vehicle is loaned as a replacement for a vehicle being serviced or repaired regardless of whether the customer is charged a fee for the use of the vehicle.” Minn. Stat. § 65B.49, subd. 5a(b). Conversely, a “vehicle is not rented if the rate for the vehicle’s use is determined on a period longer than one month or if the term of the rental agreement is longer than one month.” Id. Since 2007, the BI/PD liability coverage of a personal auto policy must afford primary coverage to the insured while operating a rented vehicle. Minn. Stat. § 65B.49, subd. 5a(j) (“The plan of reparation security covering the owner of a rented motor vehicle is excess of any residual liability coverage insuring an operator of a rented motor vehicle”). The 2007 amendment reversed the priority of payment of BI/PD coverage which had previously existed for rental (as opposed to loaner) vehicles. See, Agency Rent-A-Car, Inc. v. Am. Family Mut. Auto. Ins. Co., 519 N.W.2d 483 (Minn. Ct. App. 1994) (like other vehicle owners, rental car company had obligation to afford primary BI/PD coverage to renter for injuries caused by renter while operating rented vehicle, but rental car company could limit primary omnibus coverage to statutory minimum while retaining greater protection for itself). (I’ve previously posted several articles addressing the Agency Rent-A-Car case and the impact of the federal Graves Amendment on a rental car company’s vicarious liability. A couple articles can be found here and here). Under Minn. Stat. § 65B.49, subd. 3a(5), the No-Fault Act’s UM/UIM priority statute, the UM/UIM coverage available on the rented vehicle will afford primary coverage, but the renter’s personal UM/UIM coverage will be available on an excess basis if the UM/UIM limits of the renter’s policy exceed the UM/UIM limits of the policy insuring the occupied rented vehicle. The “excess insurance protection is limited to the extent of covered damages sustained, and further is available only to the extent by which the limit of liability for like coverage applicable to any one motor vehicle listed on the automobile insurance policy of which the injured person is an insured exceeds the limit of liability of the coverage available to the injured person from the occupied motor vehicle.” Id. See, Johnson G., The Minnesota Automobile Insurance Manual, UM/UIM Chapters (1991, 1994, 2001, 2004). Under Minnesota law, no-fault coverage generally follows the insured person. Pursuant to the No-Fault Act’s priority statute for no-fault benefits, Minn. Stat. § 65B.47, the renter’s personal auto insurer is obligated to provide primary, and generally exclusive, no-fault coverage. In contrast to these mandatory coverages, the Minnesota No-Fault Act does not mandate that the owner of a motor vehicle purchase physical damage (collision and comprehensive) coverage insuring the owner against damage to, or theft of, the insured vehicle. Collision coverage, as its name suggests, is primarily designed to pay the insured for the cost to repair a vehicle when damaged in a vehicle collision (or the cash value or replacement value of the vehicle if it is not repairable or totaled). Comprehensive coverage is intended to pay the insured for the cost to repair a vehicle when damaged by non-vehicle collisions such as vandalism, fire, weather, or impacts with animals (or the cash value or replacement value of the vehicle if it is stolen). While a lending institution may require the vehicle owner to maintain such coverage if the vehicle owner financed the purchase or lease of the vehicle, the No-Fault Act does not require that physical damage coverage be purchased or that a personal auto policy afford it. If a renter has purchased physical damage insurance under his or her personal auto policy, the coverage (like the mandatory coverages described above) will usually also apply to a rented vehicle. When a rented vehicle is damaged while in the renter’s possession under the rental car agreement, the renter is obligated to pay the costs necessary to repair the vehicle (or, if totaled, the difference between the car’s fair market value before it was damaged and the sale or salvage proceeds). If the rented vehicle is totaled, the renter is generally liable for the difference between the vehicle’s fair market value before it was damaged and the sale (or salvage). And, if the rented vehicle is stolen and not recovered, the renter is usually obligated to pay the rental car company for the rental car’s fair market value. In addition, the renter may also be legally liable to the rental car company for a variety of other damages, such as damages for “diminution in value,” “loss of use” and incidental losses such as towing, storage and administrative fees. Diminution in value damages arise when a rented vehicle cannot be restored to its pre-accident condition by repairs. Many states (including Minnesota) recognize that the owner of a commercial vehicle (which would include the owner of a rental vehicle) is entitled to recover the monetary difference between the value of the rented vehicle at the time of rental and its value after it was damaged and repaired. Loss of use damages represent the income the rental car company loses when it cannot rent a damaged, totaled or stolen car. Many states (including Minnesota) recognize that the owner of a commercial vehicle is entitled to recover damages based on the loss of use of the vehicle while it is undergoing repairs or until it can be replaced. (I will be discussing diminution in value and loss of use damages in detail in subsequent articles on this blog). Most rental car companies will offer loss damage waiver (LDW) (a/k/a Physical Damage Waiver (PDW) or Collision Damage Waiver (CDW)) to renters. For a fee, the car rental company will enter into a contract with the renter to waive all or part of its damage claim against the renter if the rented vehicle is damaged or stolen (provided the car was not driven by an unauthorized driver or in violation of a geographic or use limitation specified in the rental contract). Purchase of LDW may not be necessary if the renter has purchased physical damage coverage in connection with his or her personal auto policy. Accordingly, many states have enacted statutes which require rental car companies provide notice to automobile renters advising that purchase of a LDW may not be necessary if they have purchased physical damage coverage under their personal auto policy. See, Colo. Rev. Stat. Ann. § 6–1–203(1)(e); Kan. Stat. Ann. § 50–657(e); La. Rev. Stat. Ann. § 2091.5 B(5); Mass. G.L. c. 90, § 32E 1/2; Or. Rev. Stat. § 646.859(2); Va. Code Ann. § 59.1–207.31 B.
Minnesota is one of a few states which have gone one step further. In recognition of the fact that may people do not purchase physical damage coverage in connection with their personal auto policies, Minnesota enacted a statute in 1987 which imposes physical damage coverage on personal auto policies when the insured is operating a rented vehicle. Under Minnesota law, personal auto policies insuring private passenger vehicles and pickup trucks and vans, wherever issued, must provide coverage for rented private passenger vehicles, pickup trucks, vans and trucks with a registered gross vehicle weight of 26,000 pounds or less. Minn. Stat. § 65B.49, subd. 5a(a)(1). The personal auto policy must insure the rented vehicle against “damage and loss of use” under the compulsory “property damage liability” coverage of the policy. Minn. Stat. § 65B.49, subd. 5a(a)(1). Under the statute, a personal auto policy must extend this coverage to its insured regardless of fault or negligence on the part of the insured in causing the damages. Although Minnesota law only requires that personal auto policies afford $10,000 of property damage liability coverage (see, Minn. Stat. § 65B.49, subd. 3a), the statute mandates that $35,000 of coverage be provided for damage and loss of use of rented vehicles. Id. Under Minnesota law, a personal automobile insurance policy must: (1) cover the rental of this motor vehicle against damage to the vehicle and against loss of use of the vehicle; and (2) extend the policy’s basic economic loss benefits, residual liability insurance, and uninsured and underinsured motorist coverages to the operation or use of a rented motor vehicle. Therefore, purchase of any collision damage waiver or similar insurance affected in this rental contract is not necessary. In addition, purchase of any additional liability insurance is not necessary if your policy was issued in Minnesota unless you wish to have coverage for liability that exceeds the amount specified in your personal automobile insurance policy. Further, “[n]o collision damage waiver or other insurance offered as part of or in conjunction with a rental of a motor vehicle may be sold unless the person renting the vehicle provides a written acknowledgment that the above consumer protection notice has been read and understood.” Id. The statute’s reference to “damage and loss of use,” could lead one to conclude that Minn. Stat. § 65B.49, subd. 5a only imposes coverage for purposes of losses typically covered by collision coverage and not losses typically covered under comprehensive coverage, such as theft. However, Minn. Stat. § 72A.125, subd. 3 defines “collision damage waiver” to mean “a discharge of the responsibility of the renter or lessee to return the motor vehicle in the same condition as when it was first rented. The waiver is a full and complete discharge of the responsibility to return the vehicle in the same condition as when it was first rented.” Presumably, the legislature intended Minn. Stat. § 65B.49, subd. 5a to embrace all losses which relate to damage to, or theft of, a rented vehicle. Otherwise, the statement that “purchase of any collision damage waiver or similar insurance affected in this rental contract is not necessary,” would not be entirely true. The imposed coverage required by Minnesota Statute § 65B.49, subd. 5a does not apply to all types of personal auto policies. By its express terms, the statute does not apply to policies which only insure collector vehicles as described in Minnesota Statute 168.10, subds. 1a, 1b, 1c and 1d or recreational vehicles as defined by section 168.002. The imposed coverage required by Minnesota Statute § 65B.49, subd. 5a is not limited to the “named insured” under a personal auto policy. The statute uses the term “insured,” which is, in turn, defined in Minn. Stat. § 65B.43, subd. 5 to include the named insured and the spouse and relatives of the named insured who reside with the named insured and are not identified as a named insured under their own personal auto policy. “A person resides in the same household with the named insured if that person’s home is usually in the same family unit, even though temporarily living elsewhere.” Id. The imposed coverage required by Minnesota Statute § 65B.49, subd. 5a is not limited to personal auto policies issued in Minnesota. By its express terms, the statute applies to “every plan of reparation security, wherever issued ….” In addition, Minnesota Statute § 65B.48, subd. 1 provides that the personal auto policy of a nonresident owner of a motor vehicle “shall include coverage for property damage to a motor vehicle rented or leased within this state by a nonresident.” Thus, if a vehicle is rented in Minnesota by an individual who is insured under a personal auto policy issued outside of Minnesota, that policy will likewise be reformed to provide the rented vehicle coverage required by Minn. Stat. § 65B.49, subd. 5a. If the renter is insured under two or more personal automobile insurance policies providing the rented motor vehicle coverage required under the statute, the renter can select the personal auto policy that will apply to the rental car company’s damages (the selected insurer is entitled to a pro rata contribution from the other insurer(s) based upon the property damage limits of liability of the policies). Minn. Stat. § 65B.49, subd. 5a(d). 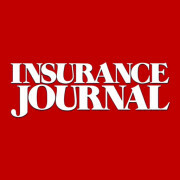 Minnesota law requires commercial insurance policies contain coverage for rented vehicles. Minn. Stat. § 60A.08, subd. 12, provides that “[a]ll commercial automobile liability policies must provide coverage for rented vehicles as required in chapter 65B.” Because a commercial policy must cover rented vehicles to the same extent as a personal auto policy, the commercial policy will likewise be reformed to provide the rented vehicle coverage required by Minn. Stat. § 65B.49, subd. 5a. Minnesota Statute § 65B.49, subd. 5a(d) provides that if the renter is covered by a commercial policy issued to his or her employer, the employer’s policy bears primary responsibility to pay claims arising from use of the rented vehicle. In such cases, the renter’s personal auto policy, if any, would provide excess coverage if necessary. The statute does not limit the contractual responsibility a personal auto insurer may have to its insured under the terms of any physical damage coverage the insured may have purchased. Presumably, any physical damage coverage the insured purchased would, subject to its terms and limitations, apply on an excess basis if necessary. This entry was posted in Rentals and tagged Collision Damage Waiver, Diminution in Value, Loss Damage Waiver, Loss of Use, Motor vehicle, Rental Car, Rental Car Liability. Bookmark the permalink.